Lots of companies out there want to "sell" you new gutters. Here is a handy checklist you can use to help you decide if it's time to replace your gutters. While you may think that small cracks don't matter, the reality is that small cracks WILL turn into big cracks. You just won't know when... but it's usually a lot sooner than most people think. If you don't fix these cracks, even the smallest ones, water can and will seep through them. This water can easily damage the fascia boards your gutters are attached to, as well as your walls and even your foundation. Mold on gutter and soffit. If you see extra algae, mold or mildew in certain spots (often at joints and corners) it's a big sign the gutters are leaking. Many times this leaking happens behind the gutter - soaking the fascia board, roof rafters or soffit. It's only after that wood is soaked that the water drips down to the bottom. If you see any sign of discoloration, peeling or fading on or near your gutters, this is a clear indication that you have a serious problem and you need to call us immediately. Your home's finish is specifically designed to withstand the rigors of the environment. So if you are seeing any form of damage, that's bad! Tiger stripes are the gray and black streaks found on the side of gutters. This means the gutter isn't working. Tiger stripes are a clear indicator that your gutters are overflowing. This overflow could be for a number of reasons (dams, blockage, inadequate flow, etc.) and means that you should have your gutters professionally inspected. Pooling water in crawl space. You should check your gutters at least once a year. You should check them on a sunny day, preferably after a rainstorm. The whole purpose of a gutter system is to direct the flow of water away from your foundation. Any sign of pools of water indicates that your gutters are not draining properly. 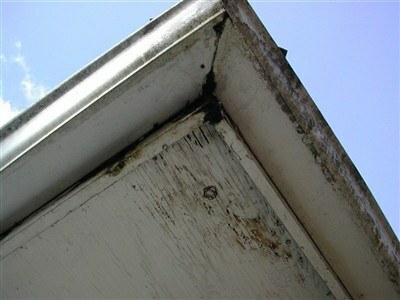 Any signs of mold or mildew on or near your gutters or near your foundation is also a sign of improper drainage. Either one could be sign of a problem that can be as simple as a clogged drain or as complex as a defect in the gutter's design. 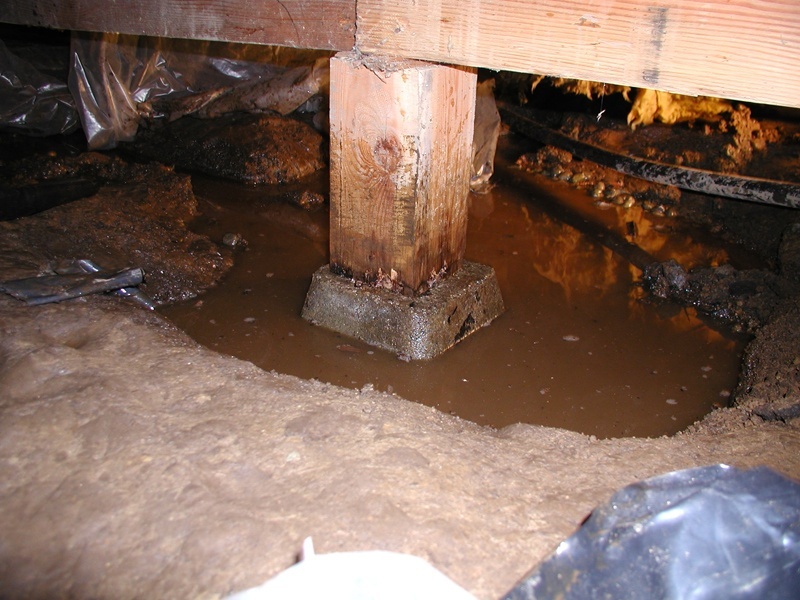 Bottom Line: water can easily damage the foundation of your home. Any damage to your foundation is going to be expensive to repair. A lot more expensive than checking and replacing your gutters. "Quality product and a sales rep that listened and incorporated our ideas..."
"The guys doing the installation were extremely nice and thoughtful. They..."
The guys doing the installation were extremely nice and thoughtful. They did very good work, overall. "The installer was very good ." The installer was very good . This is the most easily seen and easiest way to tell if you have a gutter problem. But of course, by the time your gutters have reached this stage, a lot more damage might have been done to your home... more than you realize. Gutters should never sag or warp or pull away from the house. This could be indicative of dry rot in the fascia, severe water damage, possible foundation damage, and more. If you have gutters like this, don't hesitate to have them looked at. If you notice any of these signs of failing gutters, it might be time for new gutter installation. Contact Leafless in Seattle today to schedule a consultation and free estimate at no obligation. We are your full-service gutter guard contractor in Seattle, Gig Harbor, Tacoma and all of Puget Sound Area.